This is my final blog post on my reflections on Godzilla. In my previous blog post I talked about the gender divide in Godzilla that stood out to me the most while watching the 1954 version. What I’m wanting to talk about in this blog post is the way in which Godzilla has been Americanised over the years that it has been re-created. 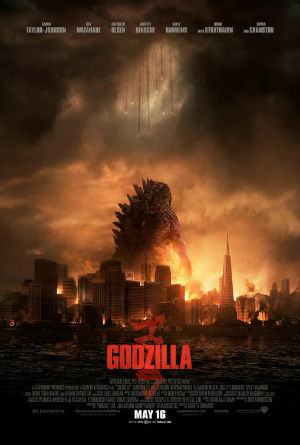 When I watched the trailer to the 2014 Godzilla, I thought it looked fantastic, it looked far more exciting and exhilarating than any of the other versions. Godzilla looked 10 times bigger and more realistic then any of the other Godzilla’s. The graphics were phenomenal that it almost felt like Godzilla was standing in front of you.